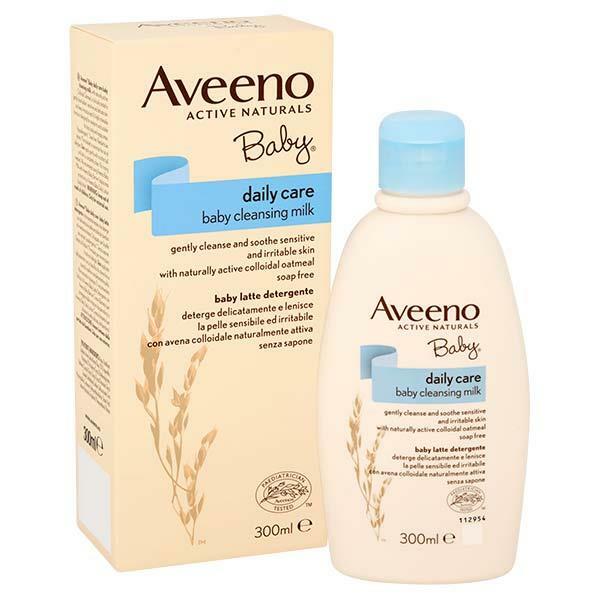 Aveeno Baby Daily Care Baby Cleansing Milk contains Colloidal Oatmeal which gently cleans and moisturises babies skin while helping to sooth the most sensitive and irritable skin. The soap free, clinically tested cleansing milk is suitable for face, body and nappy areas from birth. This product is paediatrician tested. Apply gently with a cotton ball until the skin is completely clean. No rinsing needed. We recommend using Aveeno Baby Milk with Aveeno Baby Barrier or Aveeno Baby Daily Lotion.